Marcasite and sterling silver wrist watch. 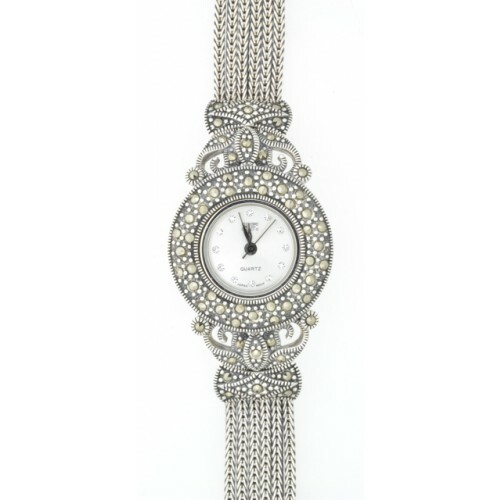 This elegant ladies wrist watch has a diamantes set dial which is surrounded by a circular marcasite set face. The herring-bow style mesh bracelet gives the watch a distinctive look to it.